Marapachi Dolls are an indispensable part of Navratri Bommai Kolu doll arrangements. Marapachi Bommai literally means wooden toys. Golu or Kolu is the display of dolls during Navratri in South India especially in Tamil Nadu, Andhra Pradesh and parts of Kerala. In Andhra Pradesh and Telangana, the display is known as Bommala Koluvu. Marapachi wooden dolls are figures that were made for children from dark wood. They were toys for children in ancient days. But today they are confined to the Golu display. 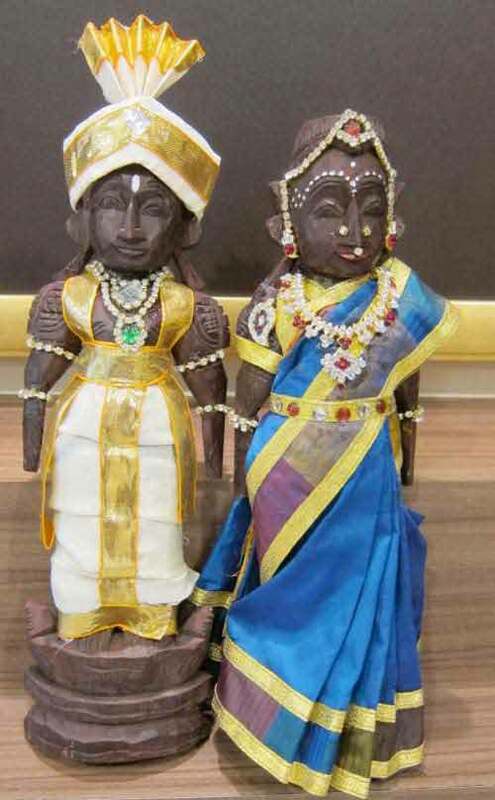 Marapachi Dolls are a pair of male and female dolls which forms the most important part of Navarathri Golu arrangements. They are sold as a couple – male and female. The dolls are mostly made of reddish wood. 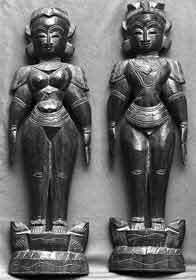 They are finely carved and are available in various sizes. During display, the wooden couple is beautifully adorned with colorful attires and jewellery. Marapachi dolls are a proud possession for many people and are handed down generations. There is also a tradition of parents gifting their married daughter Marapachi bommai so that she can start Navratri Golu display in her house. 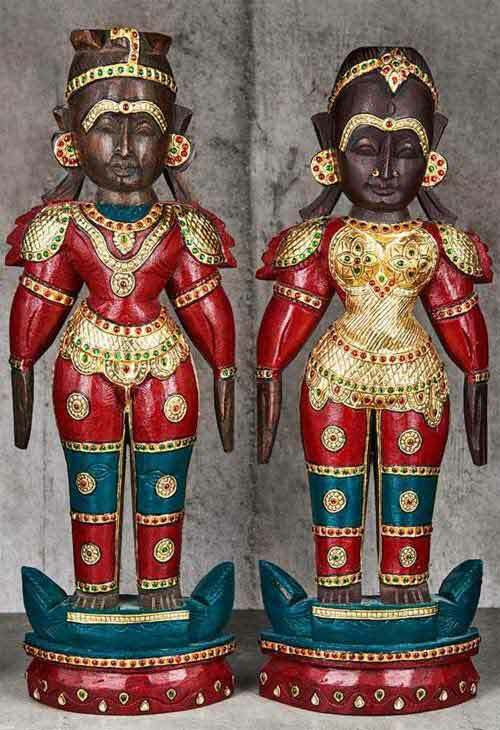 In some Tamil Communities, there is a ritual of symbolic wedding of the Marapachi dolls. Only women participate in the ceremony. This is usually done by girls whose wedding are delayed for some reason. The female doll in Marapachi dolls is displayed to the right of the male doll and is usually placed on the first step or after Lord Ganesh. Marapachi dolls are mainly made in Tirupati.